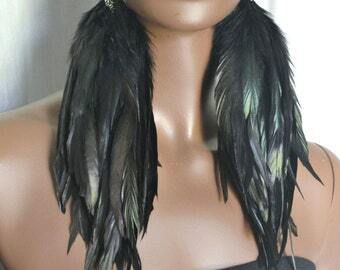 Purple and Black Feather Earrings are made with purple with black iridescent feathers and grizzly feathers. 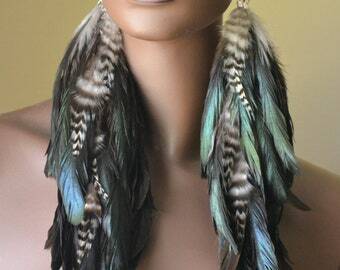 Each feather is individually hung on a chain to create a lovely moveable flow when you wear the earrings. 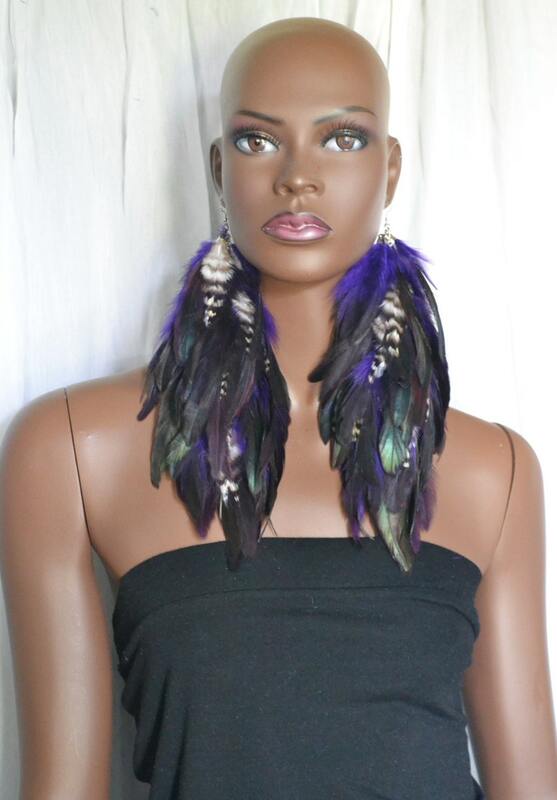 The grizzly feathers are used as an accent to stand out among the beautiful purple and black feathers. 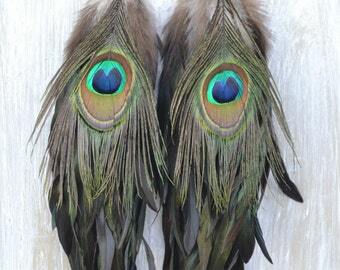 Each earring is about 11 inches in length including the earwires. Amazing! I bought 3 and they are perfect for concerts. Love them. 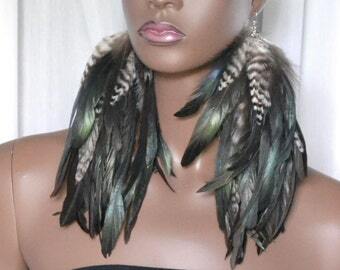 Just enough feathers for a lot of impact, great color combo!